There is no city in the world quite like Venice. For centuries Venice’s unique architecture, canals, and rich history have drawn tourists and visitors from around the world. 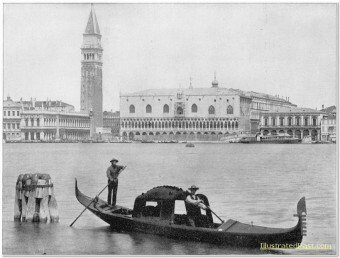 Venice today is one of the top tourist destinations. It may be easy to believe that Venice is a sort of living museum that has not changed much since the Renaissance, but in fact the Venice of today with its motorized water buses, throngs of tourists, and souvenir shops is very different than the Venice of the 1800s. 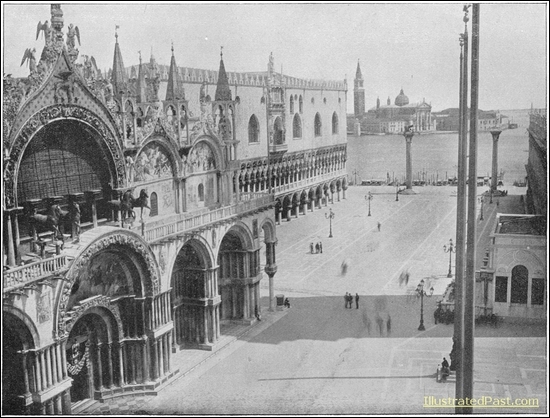 These wonderful photos document beautiful Venice as it appeared in the 1870s. 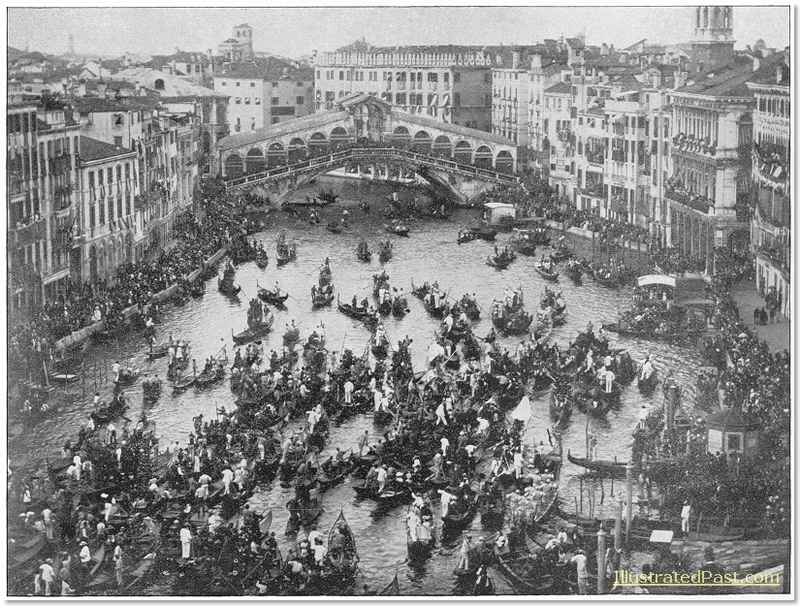 The first picture shows a gondola traffic jam on the Grand Canal. There must be hundreds of the little boats crowded into the waters around the Rialto bridge. Today, there are still Gondolas but they are only for the tourists; most Venetians get around by private boat or water taxis or most often water buses. There are only a few gondolas left, and only one shop where these beautiful craft are still made by hand.